In the practice of Elder Law, one of the principal areas that should be addressed is estate planning. Many people spend years working to build financial security for themselves and their families. But, most people do not often realize the various ways in which that security may be threatened without proper planning. Most importantly, estate planning is not one size fits all. Although every estate plan will include the common task of transferring assets to your intended beneficiaries, every estate plan prepared by Carr Law Group is customized to meet each client’s individual goals and expectations. For those who have amassed any amount of money or property, it is a necessity. One common myth is that an estate plan is only for complicated, large estates. Not so. Individuals with small retirement accounts, a 401k, bank accounts, or a home should also consider a free consultation with the Carr Law Group. 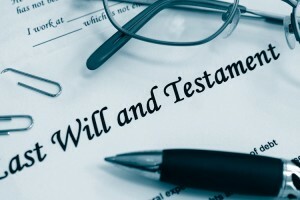 A proper estate plan not only includes planning for what happens to your things upon your passing, but also plans for the unfortunate event of incapacity. Many times, things happen to us that don’t cause our death but render us incapable of managing our own affairs. It is here that durable powers of attorney, designations of health care surrogates, and living wills are of great importance.But, the process must be completed while you have capacity. If you lose capacity before the process is complete, it’s too late. You need assistance writing checks to pay your bills. However, you are the only one on the account. If you don’t have the capacity to write checks, it’s likely you don’t have the capacity to sign a durable power of attorney – it’s too late. You want to make sure that one specific person makes health care decisions for you when you can’t do it for yourself. But if you already cannot make your own healthcare decisions, a proxy will likely be appointed for you. You’ve lost the opportunity to decide for yourself. You have a terminal condition that is going to cause your death and you are too incapacitated to communicate your wishes to your physician and loved ones. Without a living will, how will others know your wishes about end-of-life decisions? You cannot ensure that you wishes will be followed unless it’s in writing. But if you’re already incapacitated, it’s too late. Preparing your estate plan is a tremendous gift to others because it takes away much of the uncertainty for those left behind. Few want to be a burden to their children and knowing that your family will continue to be cared for is worth the effort of going through the planning process. It doesn’t have to be terribly expensive but it takes effort. Carr Law Group is experienced in matters of estate planning and will help make arrangements for your estate. Things like taxes, avoidable expenses, and other deductions left unrealized can throw an estate into disarray. With careful planning from an experienced attorney like Lee R Carr II of Carr Law Group, a great deal more certainty can be injected into the equation. No one can know what kind of curves life may throw our way. This is a principal reason why indi­viduals should leave nothing to chance. The chaos which can ensue with an estate that’s not been carefully prepared is often too much for the grieving to handle. It is pos­sible that the family may make hasty, uneducated decisions when pressed in the heat of the moment. You can remove many obstacles and move towards peace of mind by choosing an experienced and knowledgeable attorney for estate planning. A name who can help guide your family into the next phase. Let Carr Law Group be your trusted estate planning advocate. Plan for the Future. “Plan for Life”™.